Our upcoming projects have multiple locations. 77 Fully Furnished and equipped Studio, One Bedroom and Two Bedroom Apartments in Shirdi with proximity to the temple and various recreation options in Shirdi. It is an iconic 7 storied tower with excellent landscaping and greenery. 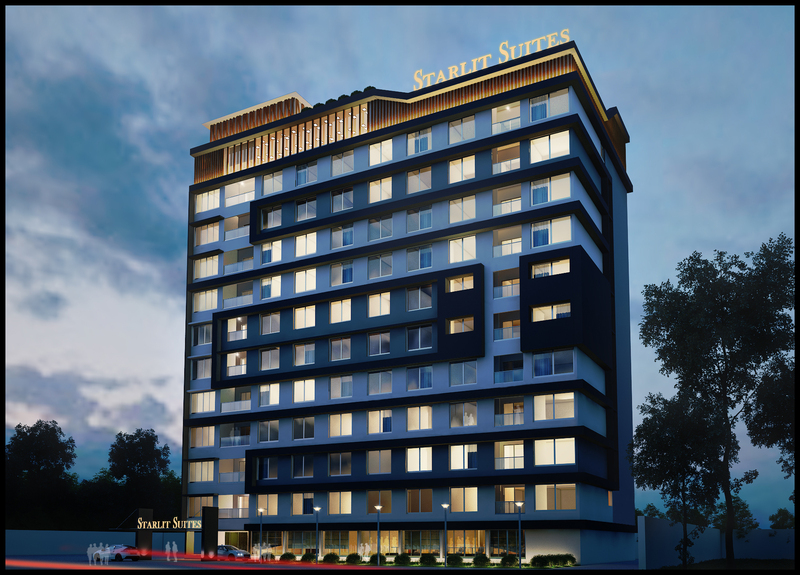 Located near opposite to the Shirdi Railway Station and just 10 minutes from Shirdi Sai Baba Ashram, Starlit Suites is located close to the main ashram but away from the noise and dust of the main central road. 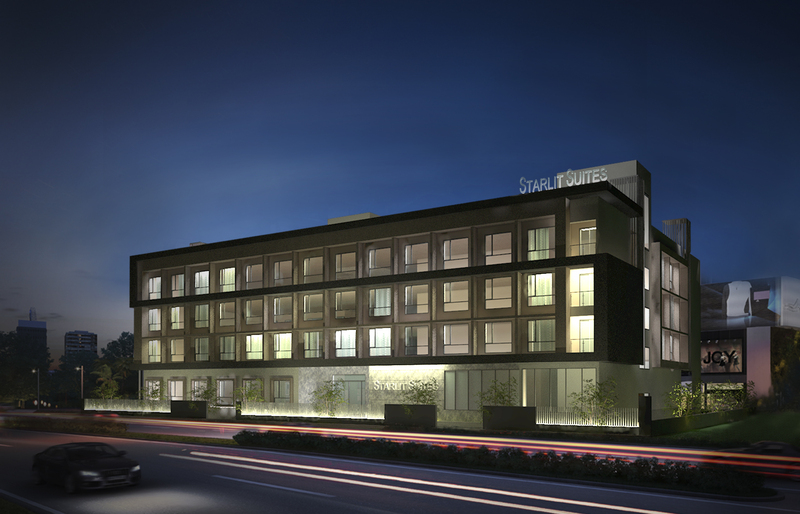 With Shirdi’s masterplan execution on fast track to be ready in time for Sai Baba’s centennial celebrations in 2017, Starlit Suites will be well connected to the ashram and the airport. With a bar & restaurant, it is also close to the only amusement park in town – Wet n Joy, thereby having something for both children and adults. Strategically located in the heart of Gachibowli, Hyderabad with a convenient access to the airport via the expressway as well as to the commercial hubs and the convention centre.A part of a signature development consisting of serviced apartments. Excellent views from all the apartments and walk to work for a lot of companies. An inventory of 198 serviced apartments. A mix of Studio Apartments, One Bedroom Apartments, One Bedroom Premium Apartments and Two Bedroom Apartments. 140 Fully Furnished and equipped Studio and One Bedroom Apartments in Kharadi with proximity to Eon Tech Park, World Trade Centre and various recreation options in Pune. It is also minutes away from the Nagar Road, creating connectivity for guests travelling by Road from Mumbai / Aurangabad. It will be an iconic tower with excellent landscaping and greenery. 124 fully furnished and equipped Studio and One Bedroom Apartments in a standalone tower located strategically at Rajarhat with walk to work for a large number of corporate companies, surrounded by IT, Hospitals and Entertainment centers. 20 minutes drive to the Airport and in close proximity to Salt lake sector V. It will be an iconic tower with beautiful landscaping and finishes. The entire area of new town or Rajarhat is only going to develop and expand further making this location ideal for all who have travel to this part of the city. 100 fully furnished and equipped Studio and One Bedroom Apartments in a mixed use development comprising of retail and entertainment. Strategically located close to the Pari Chowk, Expo Mart and all Industries in Great Noida with convenient access all around. Opposite the up coming Metro station makes it further ideal for travelers to access various parts of NCR with ease. 130 fully furnished and equipped Studio and One Bedroom Apartments at Trivandrum strategically located just meters off the NH47 bypass in close proximity to the entire Technopark and IT hub of Trivandrum. It is also very well connected to the airport with a quick 15 minute drive to the International and 20 minute drive to the Domestic Terminal. The entire expansion of IT, Bio Technology etc. is happening on the NH47 bypass or the NH47 which are within a drive of 15 minutes from Starlit Suites.